As I was preparing for this month’s event, now having done three consecutively since November, I began to ask myself what the purpose is. I mean… sure, we can gather for a workout, have fun and enjoy some clean treats afterwards. And THAT could very well be a good enough reason for anyone. When I first started this event series back in November, I initially just wanted to give access to those who wanted to workout with me but couldn’t do private training for whatever reason. I believe fitness should be accessible and feasible for anyone who wants it. But for me, because there is so much out there that already makes fitness accessible, I needed a deeper purpose for these events. 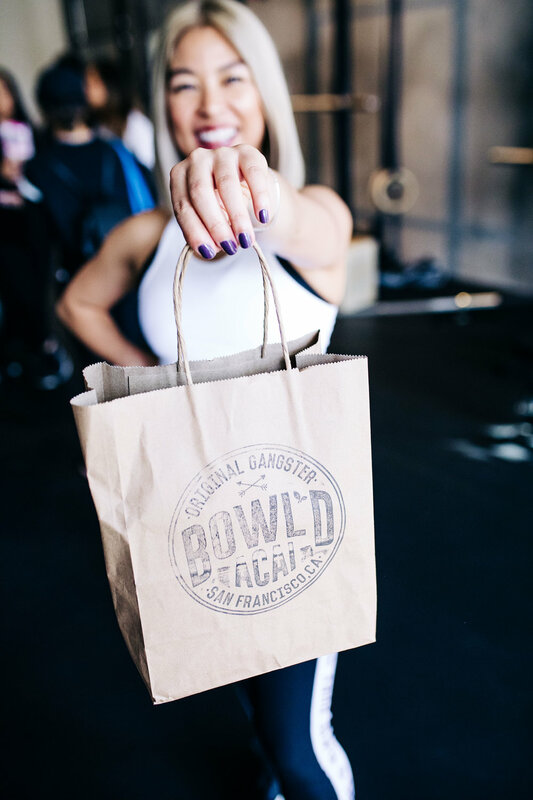 Any of you can find another event or workout class in the Bay Area. So why choose Strong Babes? Ultimately, the Strong Babes series is a safe community where anyone and everyone is welcome, where fitness becomes relatable, tangible and accessible. This is a community full of strong women, who also welcome their male cohorts (hey strong bros! ), and a community that believes in their own worth and wants to use that confidence to empower those around them. A strong babe is a woman who believes in her own worth and knows she is strong from the inside out. She is not intimidated by other’s looks, opinions, or capabilities because she believes in her own gifts and unique talent. She lets her light shine unapologetically; yet with humility. Her confidence is not found in proving to others what she can do, but in encouraging, uplifting and loving others around her. Her success serves a greater purpose but it starts from within: emotionally, mentally, spiritually and then physically. Make sure to secure your spot for our next event in March. Spots are limited and tickets go preetty fast! Register for Strong Babes: Birthday & Charity Workout here. If you enjoyed this event leave a comment below and let me know what your favorite part was. Or if you’ll be joining us for the first time in March, let me know what you’re excited about! I’ll see you at the next one. In the mean time, enjoy these incredible shots by my girl Cyn! STRONG BABES | First Event! If you missed out this past Sunday, don’t worry! Our next #strongbabes event is just around the corner. This time we’re bringing the babes ANNNND bros for some burpees && brunch goodness! Get your ticket ASAP as we have limited spots (last time, we sold out in just 4 days!). PURCHASE TICKETS HERE: #strongbabes | Babes, Bros, Burpees & Brunch! I hope to see YOU there! In the meantime, enjoy a recap of some of the sweaty fun below! I’ve probably said it 100 times over now, but my heart is SO full from our first ever Strong Babes event. 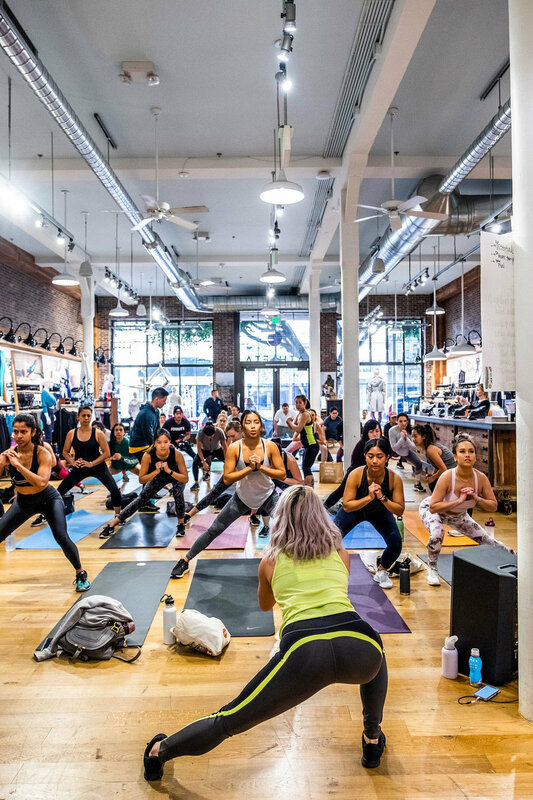 We had over 30 strong women (and a couple men) bring their confidence, inner strength and good vibes to make this event a fun and sweaty workout party! The theme for this event was all about the B double O-T-Y! I wanted my babes to leave with sore bums and newfound inner as well as outer total body strength (which I definitely think was accomplished). Thank you so much to every amazing human who joined us! discount: 20% off with code hu4you at check out. discount: 15% off with code STRONGBABES at check out.